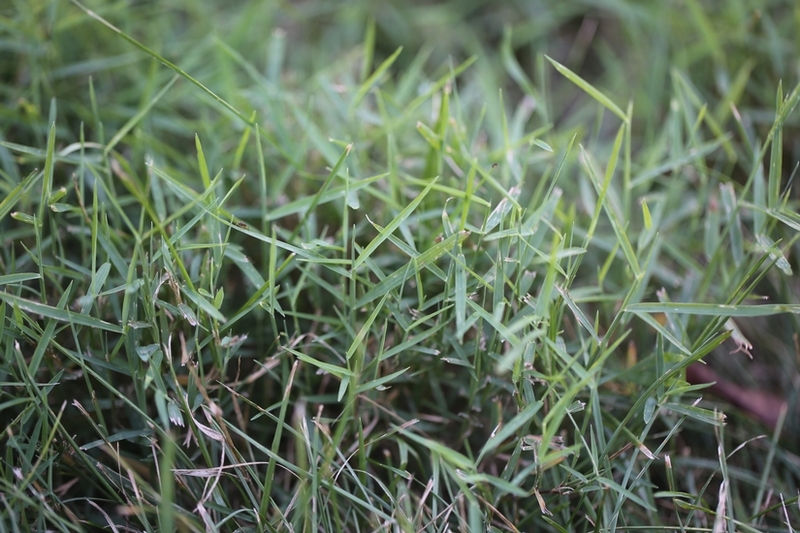 A perennial grass with stolons that forms dense mats and closely resembles bermudagrass. 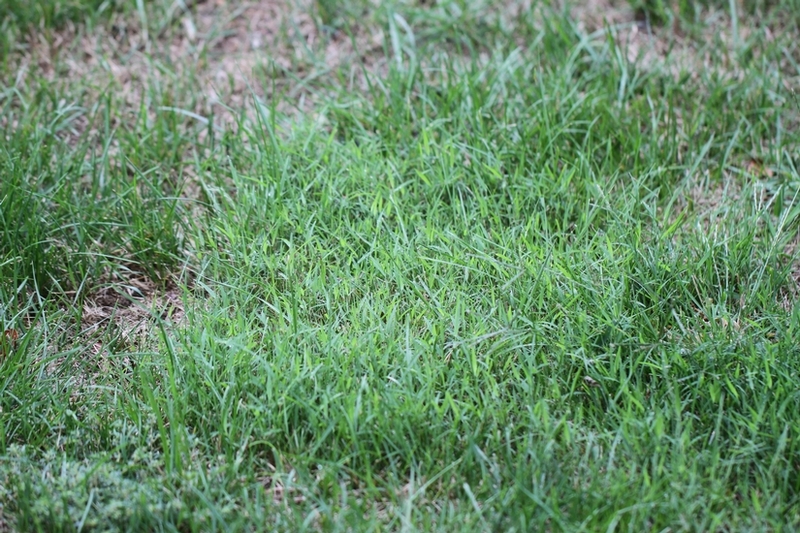 Nimblewill is primarily a weed of lawns and turfgrass, but can also occur in nurseries, orchards, and landscapes. First leaves are long and wide. 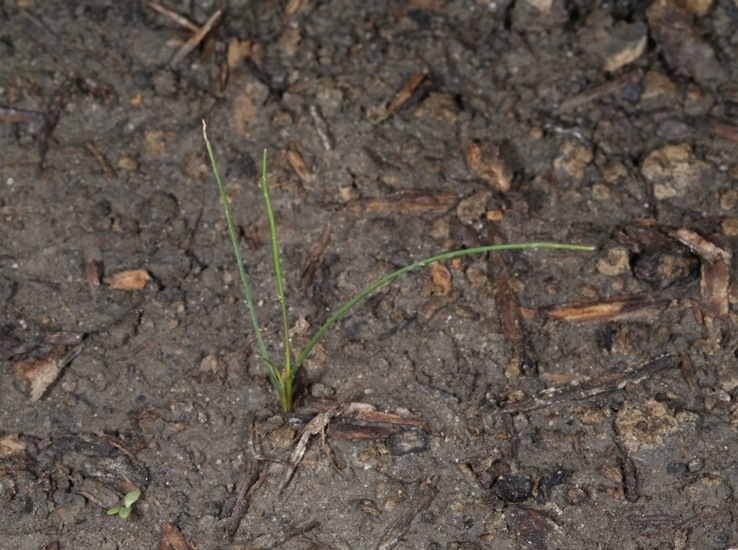 Leaves are rolled in the bud, without auricles , and with a very short membranous ligule. Leaf blades are relatively small, ranging from 3/4 to 3 inches in length and 2 to 4 mm in width. 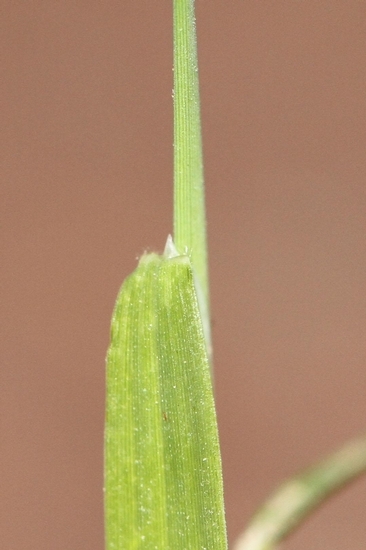 Leaf blades are mostly hairless except for some hairs near the ligule. Leaves are rolled in the bud and auricles are absent. 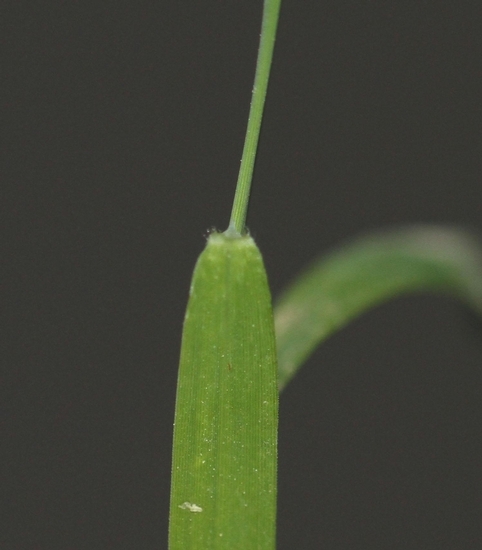 The ligule is very short (about 1/2 mm) and membranous with distinctive teeth along the top. Stems are branching, forming thick mats, and root at the nodes. 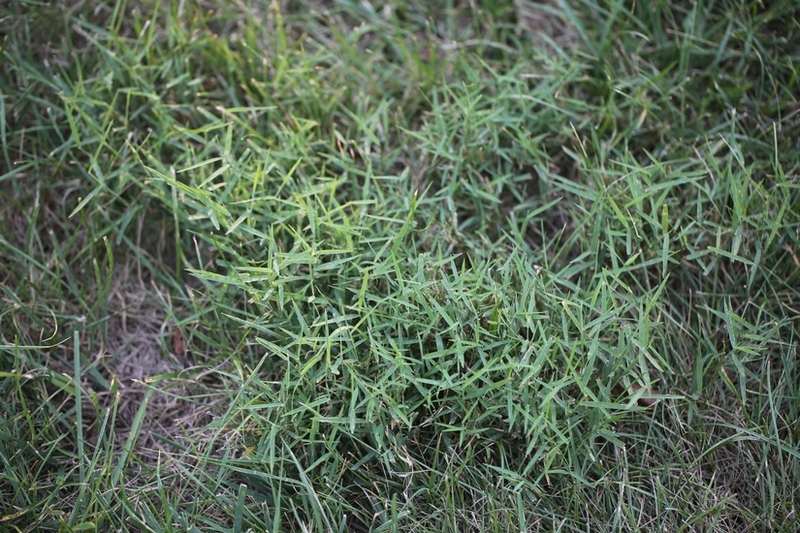 Stems and stolons die early in the fall and form distinctive brown patches throughout lawns and turfgrass that are otherwise green. Leaf sheaths and stems are sometimes maroon-tinted near the base. Seedheads are slender panicles, reaching as much as 6 inches in length. 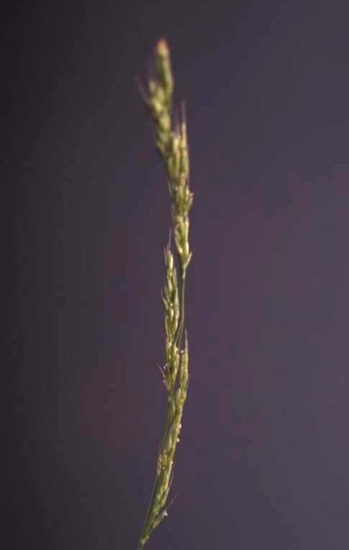 Each spike within the panicle contains spikelets that are approximately 2 mm long. Nimblewill has a fibrous root system as well as stolons that run along the soil surface and root at the nodes. The relatively short, narrow leaves, mat-forming habit, and stolons are all features that help to distinguish nimblewill from most other grass species. 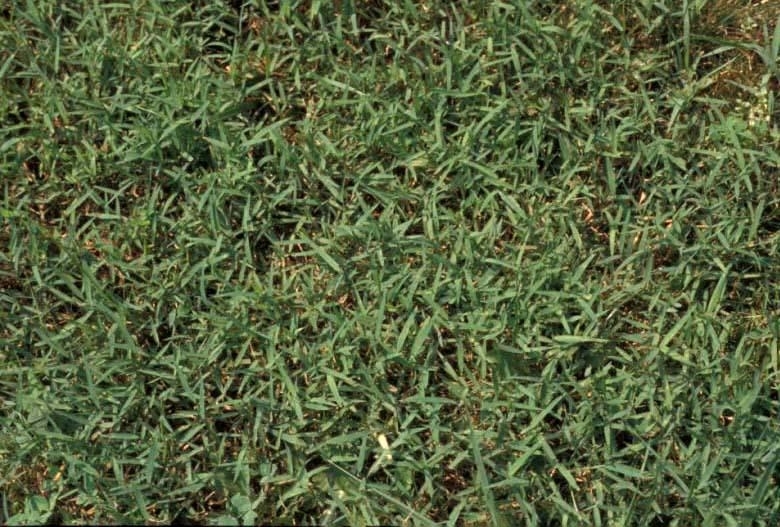 Additionally, nimblewill does not tolerate cool weather and forms very distinctive brown patches throughout the winter. 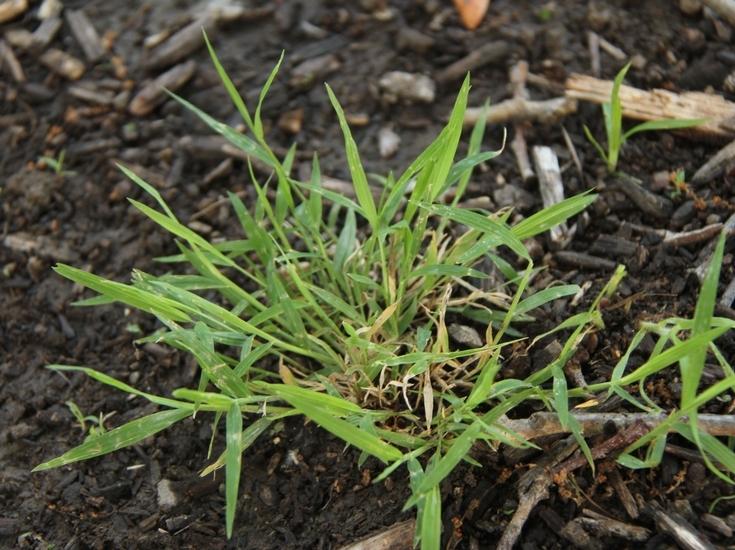 Nimblewill is very similar to Bermudagrass (Cynodon dactylon), but does not have rhizomes and is generally smaller and more wiry in appearance than bermudagrass. Nimblewill is very similar in appearance to Creeping Bentgrass (Agrostis stolonifera), but this species has a much larger membranous ligule when compared to that of nimblewill.